In this authoritative and engrossing full-scale biography, Walter Isaacson, bestselling author of Einstein and Steve Jobs, shows how the most fascinating of America's founders helped define our national character. In this colorful and intimate narrative, Isaacson provides the full sweep of Franklin’s amazing life, showing how he helped to forge the American national identity and why he has a particular resonance in the twenty-first century. His arrival in Philadelphia is one of the most famous scenes in autobiographical literature: the bedraggled 17-year-old runaway, cheeky yet with a pretense of humility, straggling off the boat and buying three puffy rolls as he wanders up Market Street. But wait a minute. There's something more. Peel back a layer and we can see him as a 65-year-old wry observer, sitting in an English country house, writing this scene, pretending it's part of a letter to his son, an illegitimate son who has become a royal governor with aristocratic pretensions and needs to be reminded of his humble roots. A careful look at the manuscript peels back yet another layer. Inserted into the sentence about his pilgrim's progress up Market Street is a phrase, written in the margin, in which he notes that he passed by the house of his future wife, Deborah Read, and that "she, standing at the door, saw me and thought I made, as I certainly did, a most awkward ridiculous appearance." So here we have, in a brief paragraph, the multilayered character known so fondly to his author as Benjamin Franklin: as a young man, then seen through the eyes of his older self, and then through the memories later recounted by his wife. It's all topped off with the old man's deft little affirmation -- "as I certainly did" -- in which his self-deprecation barely cloaks the pride he felt regarding his remarkable rise in the world. Benjamin Franklin is the founding father who winks at us. George Washington's colleagues found it hard to imagine touching the austere general on the shoulder, and we would find it even more so today. Jefferson and Adams are just as intimidating. But Ben Franklin, that ambitious urban entrepreneur, seems made of flesh rather than of marble, addressable by nickname, and he turns to us from history's stage with eyes that twinkle from behind those newfangled spectacles. He speaks to us, through his letters and hoaxes and autobiography, not with orotund rhetoric but with a chattiness and clever irony that is very contemporary, sometimes unnervingly so. We see his reflection in our own time. He was, during his eighty-four-year-long life, America's best scientist, inventor, diplomat, writer, and business strategist, and he was also one of its most practical, though not most profound, political thinkers. He proved by flying a kite that lightning was electricity, and he invented a rod to tame it. He devised bifocal glasses and clean-burning stoves, charts of the Gulf Stream and theories about the contagious nature of the common cold. He launched various civic improvement schemes, such as a lending library, college, volunteer fire corps, insurance association, and matching grant fund-raiser. He helped invent America's unique style of homespun humor and philosophical pragmatism. In foreign policy, he created an approach that wove together idealism with balance-of-power realism. And in politics, he proposed seminal plans for uniting the colonies and creating a federal model for a national government. But the most interesting thing that Franklin invented, and continually reinvented, was himself. America's first great publicist, he was, in his life and in his writings, consciously trying to create a new American archetype. In the process, he carefully crafted his own persona, portrayed it in public, and polished it for posterity. Partly, it was a matter of image. As a young printer in Philadelphia, he carted rolls of paper through the streets to give the appearance of being industrious. As an old diplomat in France, he wore a fur cap to portray the role of backwoods sage. In between, he created an image for himself as a simple yet striving tradesman, assiduously honing the virtues -- diligence, frugality, honesty -- of a good shopkeeper and beneficent member of his community. From these attitudes sprang what may be Franklin's most important vision: an American national identity based on the virtues and values of its middle class. Instinctively more comfortable with democracy than were some of his fellow founders, and devoid of the snobbery that later critics would feel toward his own shopkeeping values, he had faith in the wisdom of the common man and felt that a new nation would draw its strength from what he called "the middling people." Through his self-improvement tips for cultivating personal virtues and his civic-improvement schemes for furthering the common good, he helped to create, and to celebrate, a new ruling class of ordinary citizens. The complex interplay among various facets of Franklin's character -- his ingenuity and unreflective wisdom, his Protestant ethic divorced from dogma, the principles he held firm and those he was willing to compromise -- means that each new look at him reflects and refracts the nation's changing values. He has been vilified in romantic periods and lionized in entrepreneurial ones. Each era appraises him anew, and in doing so reveals some assessments of itself. Franklin has a particular resonance in twenty-first-century America. A successful publisher and consummate networker with an inventive curiosity, he would have felt right at home in the information revolution, and his unabashed striving to be part of an upwardly mobile meritocracy made him, in social critic David Brooks's phrase, "our founding Yuppie." We can easily imagine having a beer with him after work, showing him how to use the latest digital device, sharing the business plan for a new venture, and discussing the most recent political scandals or policy ideas. He would laugh at the latest joke about a priest and a rabbi, or about a farmer's daughter. We would admire both his earnestness and his self-aware irony. And we would relate to the way he tried to balance, sometimes uneasily, the pursuit of reputation, wealth, earthly virtues, and spiritual values. Some who see the reflection of Franklin in the world today fret about a shallowness of soul and a spiritual complacency that seem to permeate a culture of materialism. They say that he teaches us how to live a practical and pecuniary life, but not an exalted existence. Others see the same reflection and admire the basic middle-class values and democratic sentiments that now seem under assault from elitists, radicals, reactionaries, and other bashers of the bourgeoisie. They regard Franklin as an exemplar of the personal character and civic virtue that are too often missing in modern America. Much of the admiration is warranted, and so too are some of the qualms. But the lessons from Franklin's life are more complex than those usually drawn by either his fans or his foes. Both sides too often confuse him with the striving pilgrim he portrayed in his autobiography. They mistake his genial moral maxims for the fundamental faiths that motivated his actions. His morality was built on a sincere belief in leading a virtuous life, serving the country he loved, and hoping to achieve salvation through good works. That led him to make the link between private virtue and civic virtue, and to suspect, based on the meager evidence he could muster about God's will, that these earthly virtues were linked to heavenly ones as well. As he put it in the motto for the library he founded, "To pour forth benefits for the common good is divine." In comparison to contemporaries such as Jonathan Edwards, who believed that men were sinners in the hands of an angry God and that salvation could come through grace alone, this outlook might seem somewhat complacent. In some ways it was, but it was also genuine. Whatever view one takes, it is useful to engage anew with Franklin, for in doing so we are grappling with a fundamental issue: How does one live a life that is useful, virtuous, worthy, moral, and spiritually meaningful? For that matter, which of these attributes is most important? These are questions just as vital for a self-satisfied age as they were for a revolutionary one. 1. Why does Walter Isaacson, in the opening pages of his biography, call Benjamin Franklin "the founding father who winks at us"? Why does he consider Franklin the most approachable of the founders, much less intimidating than other great figures of his time -- Washington, Jefferson, or Adams? 2. 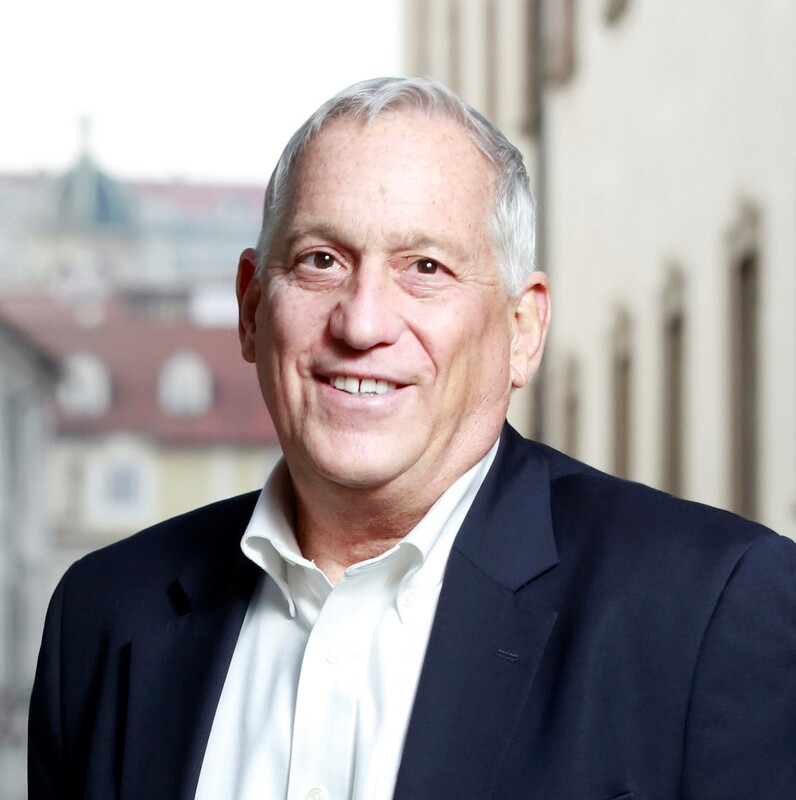 Isaacson portrays Franklin as a man who has a particular resonance in 21st-century America. "We see his reflection in our own time," Isaacson writes. "A successful publisher and consummate networker with an inventive curiosity, he would have felt right at home in the information revolution, and his unabashed striving to be part of an upwardly mobile meritocracy made him, in social critic David Brooks's phrase, 'our founding Yuppie.'" Talk about how you think Franklin would react if he could be transported into our contemporary world. What aspects of American life today do you think would please him, and which would likely inspire his genial, mocking, or caustic wit? 3. "He was, during his eighty-four-year-long life, America's best scientist, inventor, diplomat, writer, and business strategist, and he was also one of its most practical, though not most profound, political thinkers," Isaacson writes. Were you surprised by the range and variety of Franklin's activities? In which of his many roles do you think Franklin had his most impressive accomplishments? Most of us learned when we were growing up about Franklin's flying a kite and discovering electricity and his invention of a lightning rod. Which of his many lesser known inventions or scientific experiments did you find especially interesting? Why? 4. "The essence of Franklin is that he was a civic-minded man. He cared more about public behavior than inner piety, and he was more interested in building the City of Man than the City of God," Isaacson writes. Talk about some of the community groups that Franklin founded and how they reflect his belief in civic virtue for the common good. 5. Ben Franklin, Isaacson tells us, "had faith in the wisdom of the common man and felt that a new nation would draw its strength from what he called 'the middling people.'" Discuss the ways in which Franklin helped to create, and to celebrate, a new ruling class of ordinary citizens -- a new political order "in which rights and power were based not on the happenstance of heritage but on merit and virtue and hard work" Do you share Franklin's faith in the virtues and values of the middle class? Why or why not? 6. Benjamin Franklin was the only man who shaped all the founding documents of America: the Albany Plan of Union, the Declaration of Independence, the treaty of alliance with France, the peace treaty with England, and the Constitution. Discuss the unique stamp that Franklin left, or attempted to leave, on each of these documents? How might American history have unfolded differently had the colonial assemblies adopted Franklin's Albany Plan with its federalist concept? What is the significance of Franklin's edit of the Declaration of Independence, changing Jefferson's "We hold these truths to be sacred and undeniable" to "We hold these truths to be self-evident"? 7. In what sense is Franklin "an exemplar of the Enlightenment"? Why did the French public consider Voltaire and Franklin to be soul mates? Why did Franklin abandon the Puritan/Calvinist theology that he had grown up with? How did his religious beliefs evolve over time? 8. What do you think of the way Franklin treated his common-law wife, Deborah, and his illegitimate son, William, the identity of whose mother remains unknown to this day? The book makes clear that for 15 of the last 17 years of Deborah's life, Franklin lived an ocean away, including when she died. Why do you think Isaacson still concludes: "Nevertheless, their mutual affection, respect, and loyalty -- and their sense of partnership -- would endure"? How do you think it is possible to reconcile Franklin's long absence and his behavior -- his flirtations with many women, the surrogate familial relationships he would establish wherever he traveled, the intimate correspondence he exchanged with Polly, Caty Ray, and his female friends in Paris -- with Isaacson's contention that he felt affection, respect, loyalty, and a sense of partnership with Deborah? 9. Why do you think that Franklin, so adept at compromise in negotiating treaties with other nations, was so unyielding in the breach with his own son? Contrast Franklin's relationship with William and his closeness with William's son, Temple. 10. Discuss the evolution of Franklin's thinking on the moral issue of slavery. How did Franklin's views change from the time when he personally owned a slave couple and facilitated the selling of slaves through ads in his newspaper to his emergence in later life as one of America's most active abolitionists? 11. Franklin came late to the Revolutionary cause. From 1760-1764 he remained an unabashed Royalist. Even after the British Parliament passed the notorious Stamp Act in March 1765 Franklin was slow to join the frenzy back home. What finally drove Franklin, who had long cherished a vision of imperial harmony in which Britain and America could both flourish in one great expanding empire, to cross the threshold to rebellion? Why do you think that Franklin who had wrestled for so long with his royalist loyalties was so unforgiving of William's? 12. Discuss the complicated mixture of resentment and respect, disdain, distrust, and grudging admiration that characterized the relationship between Franklin and John Adams. How might American and world history have taken a different turn had Adams rather than Franklin been sent to negotiate the alliance with France during the Revolutionary War? 13. In an interview after the hardcover edition of Benjamin Franklin was published, Isaacson revealed that he had first started reading about Franklin's diplomatic activities when he was working on his acclaimed biography of Henry Kissinger -- because he wanted to understand the peculiar mixture of realism and idealism that has characterized American foreign policy. Do you think that the loyalty and gratitude that Franklin expressed for French support -- which he believed was founded in morality as well as European power balances -- was overly naïve as Adams intimated? Do you think that Franklin helped to set a tone for future American foreign policy? Should foreign policy have an idealistic component, or do you agree with Adams that it should be more coldly realistic, based on national interests? 14. Isaacson portrays Franklin as the Founding Father who intuitively was more comfortable with democracy than were most of his fellow founders. How did his democratic leanings reveal themselves in specific proposals at the Constitutional Convention? During his life, and since, Franklin has been lauded by his admirers and derided by his detractors as a pragmatist and a compromiser. "Compromisers may not make great heroes, but they do make democracies," Isaacson concludes. Do you agree or disagree? Why? 15. How did this book change your impressions of Benjamin Franklin? 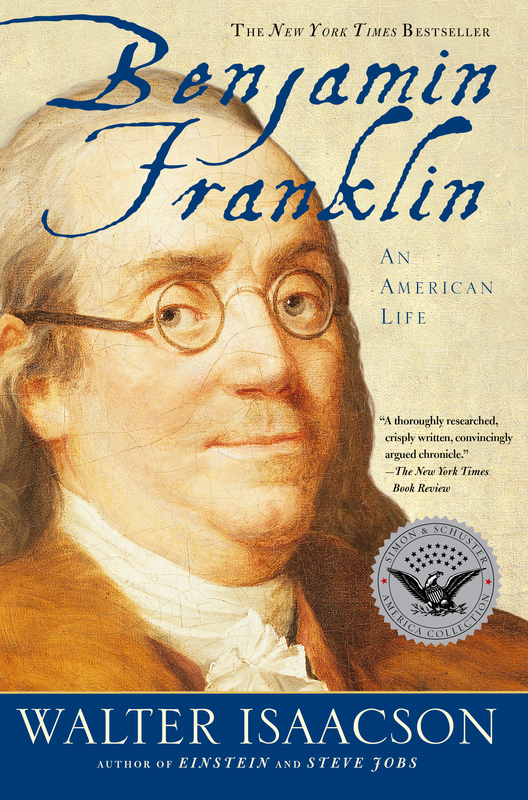 What was the most interesting discovery you made about Franklin from reading this biography? Do you admire him? Do you like him? Why or why not? The Washington Post Book World The most readable full-length Franklin biography available. The New Yorker Energetic, entertaining, and worldly. The New York Times In its common sense, clarity and accessibility, it is a fitting reflection of Franklin's sly pragmatism....This may be the book that most powerfully drives a new pendulum swing of the Franklin reputation. The New York Times Book Review A thoroughly researched, crisply written, convincingly argued chronicle.